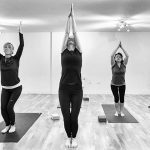 Introduction to Yoga is perfect for students who have never practiced yoga before, for those returning to yoga after a break, those with injuries or even regular practitioners looking to brush up on the basics. Join Elaine on a journey into arm balances and inversions to fine tune your postures. Learn how to use breath and bandhas to become stronger and lighter in your arm balances and inversions. Think “there is strength in softness”. Learn to develop the correct foundation to support you in postures such as handstand, headstand, forearm balance, crow pose, and many more. This workshop will include pranayama, a dynamic vinyasa class, a breakdown of postures, and a Yoga Nidra to finish. Yoga experience is required for this workshop. The cost for this workshop is €30. Bookings on 0872601624 or at the studio or on your Mindbody account. Earlybird price if booked and paid before Friday 1st March is €25. In this energising workshop Deirdre will focus on breathing techniques and exercises to allow the body to relax and open safely into backbending postures. She will work on the basic principles of backbending with a focus on hip and shoulder openers to help with these challenging and stimulating postures. Family Yoga Class on Sunday 10th February at 10:30am at Peak Performance Academy. Family yoga is a fun activity you can do with your child where you can bond as you share yoga together. We will do lots of partner poses, make animal noises and have heaps of fun!! It’s a chance for parents and children of share the joy of yoga together in a safe and fun environment. The cost is €12 for one adult and one child and €3 per person thereafter. Suitable for children aged 3-13 and adults of all ages!